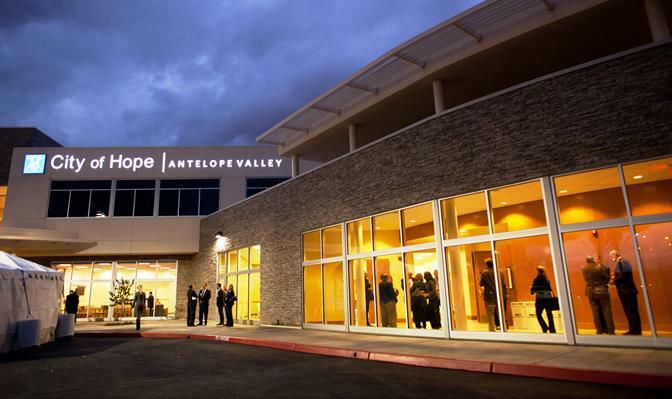 Antelope Valley — Patton Build. Trust. This project is a cancer treatment center equipped with infusion treatment, oncology department, linear accelerator vault and a state of the art training and conference center. The building envelope design far-exceeded the state energy code minimums, and coupled with the high-efficiency air conditioning units and variable air volume airflow delivery system, led the building to significantly outperform the developer’s previous buildings. Patton led the developer in implementing a more-sophisticated energy management system than previously utilized, which resulted in significant energy savings throughout the facility. The project was completed on time and on budget. Change orders were limited to owner additions and modifications during the project. The building is expected to achieve LEED® Silver certification.